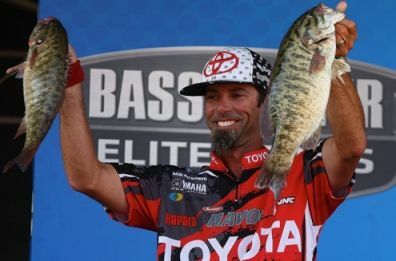 What was Mike Iaconelli Fishing at the Bassmaster Classic? 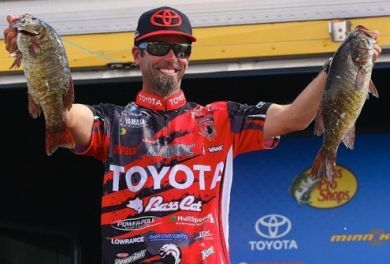 What was Mike Iaconelli Fishing at the Sabine River Elite Series Tournament? 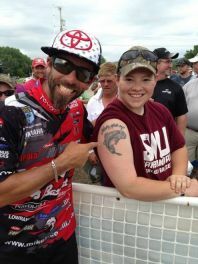 What was Mike Iaconelli Fishing at Falcon Lake Elite Series Event? 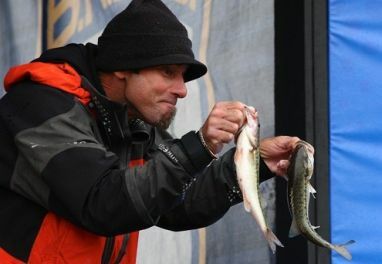 What was Mike Iaconelli Fishing at Bull Shoals? 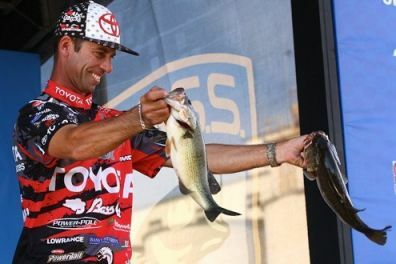 What was Mike Iaconelli Fishing at West Point? High water and heavy current conditions. 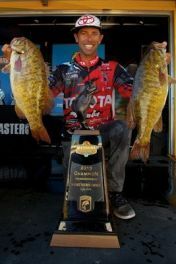 Iaconelli fished primarily the Molix Lover Skirted Vibration Jig 1/2oz. with a Berkley Havoc Subwoofer trailer. 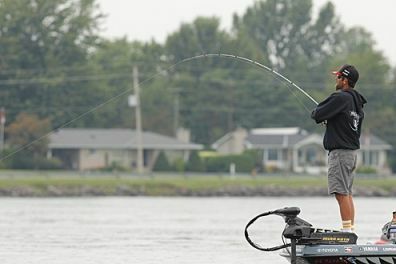 Mike was throwing it on a 6' 6" Med Hvy Abu Garcia Veritas Rod, with a slower 6.4:1 Abu Garcia REVO Premier Generation 3 Casting Reel with Berkley Trilene Fluorocarbon 15lb. Green. In Eddies, Ike through a heavy 3/4 oz. Berkley Gripper Ike's Finesse Jig with a Berkley Powerbait Double Tail Grub trailer. Iaconelli fished this rig on a 7' Abu Garcia Veritas Casting Rods with a faster 7:1 Abu Garcia REVO Premier Generation 3 Casting Reel and 17lb. Berkley Trilene Fluorocarbon Clear. 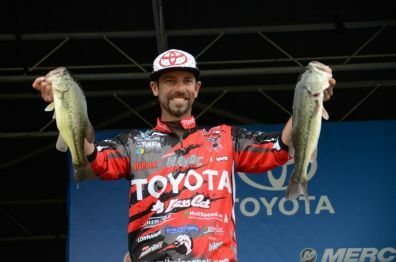 Mike Iaconelli talks about what he fished in the Mississippi Elite Series bass fishing tournament. 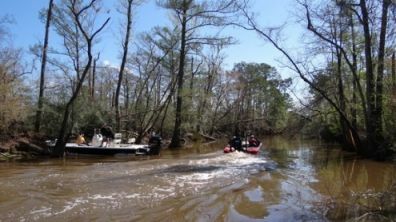 The river is known for backwaters and bass fishing. 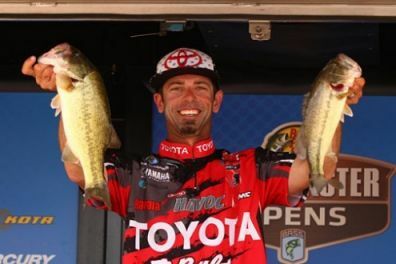 For the weeds, Iaconelli fished two baits, a Spro Poppin' Frog (which Ike likes in more open water conditions). Ike fished the frog on 65lb. Spiderwire braided line on a 7'6" Veritas Med/Hvy casting rod and very fast 7.9:1 Abu Garcia REVO MGX Casting Reel. Mike was more successful on a Black and Blue Dirty Jigs Finesse Swim Jig. 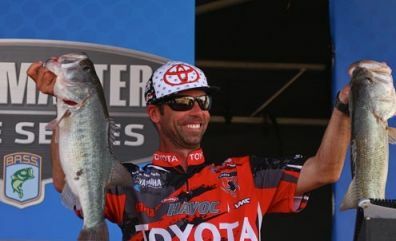 The real key to this bait was the Berkley Havoc Subwoofer, which Iaconelli helped design. Ike also fished the jig on 65lb. Spiderwire braided line on a 7'6" Med Hvy Villain Rod and 7.9:1 Abu Garcia REVO MGX Casting Reel. 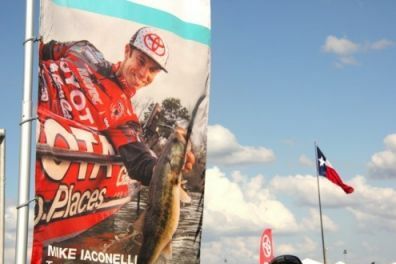 At the end of the day, Ike would try to catch a bonus smallmouth in the rocks. For the shallow eddies, Ike fished a Rapala DT Fat 1 in the demon color with 15lb. Berkley Trilene 100% Fluorocarbon on a 7' Med Veritas Winch Cranking Rod and Abu Garcia Revo Premier 6.4:1 Reel. For deeper rock eddies, Ike used a Rapala DT 6 in Ike's Custom Ink Color Blue Back Herring. To maximize depth, Mike fished it with 12lb. Berkley Trilene Fluorocarbon on the same 7' Med Veritas Winch Cranking Rod and Abu Garcia Revo Premier 6.4:1 Reel. 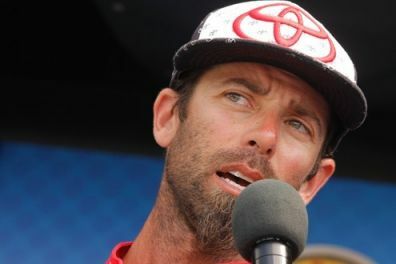 Mike Iaconelli talks about power fishing at Lake St. Clair. Firstly, Ike power-shotted (upscaled drop-shot) a pearl Berkley Havoc The Jerk on a VMC Ike Approved Flippin Hook, with a 14" leader and a heavy VMC Ike Tungsten Drop Shot Cylinder Weight. Mike fished this rig with 10 lb. Berkley Trilene 100% Fluorocarbon Clear on a 7' Abu Garcia Veritas Medium Casting Rod/Abu Garcia Revo MGXtreme Reel combo. Mike caught the rest of his fish on a Rapala Ike's Custom Ink DT 14 Crankbait Smash Color, which imitated the shad and yellow perch. 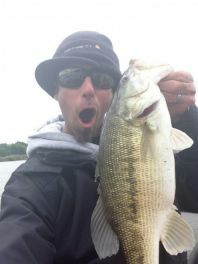 Mike fished the DT-14 crankbait on 12 lb. Berkley Trilene 100% Fluorocarbon Clear, 6.4:1 Abu Garcia REVO Premier Generation 3 Casting Reel on the Winch Series Abu Garcia Veritas 7' Cranking Rod. Mike also used the Gulp! Marinade to soak his baits in. THANK YOU to everyone who voted for me to fish in the 2013 Elite Series All Star Week!